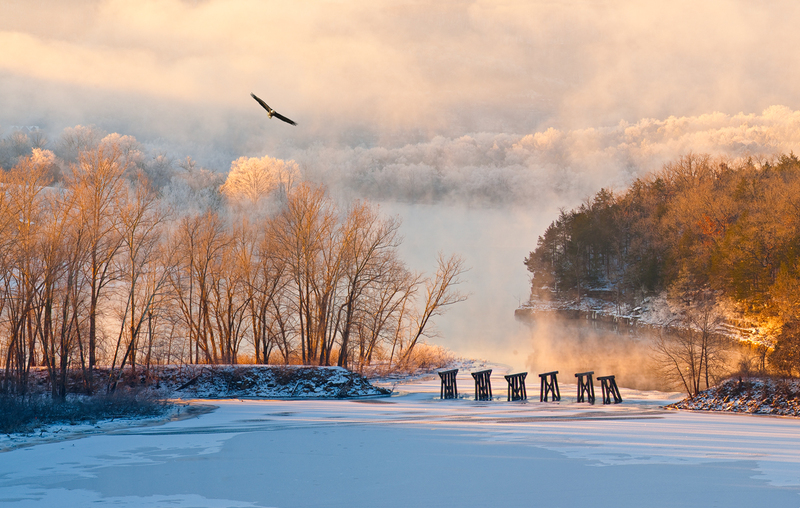 A bald eagle circles above the old railroad trestles at sunrise as the hoar frost begins to melt near Eureka Springs, Arkansas. . Photo © copyright by William Dark.